Tonight's guest was Nyla, doing Tarot readings. Nyla had been doing readings for about sixteen years. Henry had her discuss her origins as a reader. She literally learned it to participate as "a gypsy fortune teller" at a friend's partner. 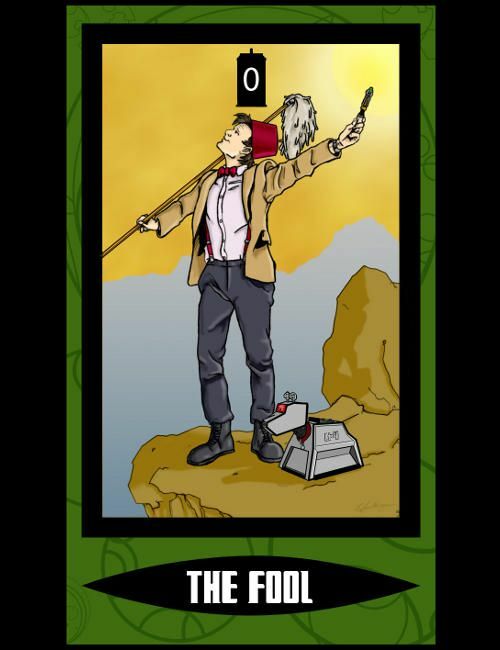 Nyla generally uses the standard Celtic Cross spread, and the classic Rider-Waite tarot deck deck, on which most readers initially learn/ed when they started. 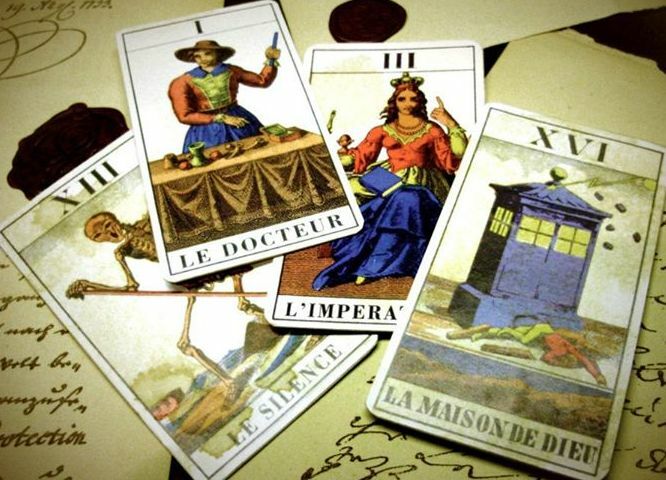 Kat hadn't been aware of different spreads; Nyla indicated there are numerous such spreads, including but not limited to a simple Three Card spread, for past, present, and future, etc. Tammy and "Tropnevad" in the chat room asked after a reading, which Nyla obliged. Ceiling Cat Barbara Duncan reported our having listeners in the US, the UK, Canada, Australia, Austria, and Unknown. Via an Admin page, CC also saw people checking in "invisibly" in the live chat room. Nyla then read for Kat; that she's looking in a New Direction, but that she'd be pulled in two directions about it. After the second break, Nyla did a general reading for "Kat With The Bat," who was listening to the show online, but from outside the para-x environment. Nyla will be doing readings being held the first weekend of April 09 and 03 at the Gift of Light Expo at the Cuyahoga County Fairgrounds (164 Eastland Road, [Berea] Cleveland, OH 44107), their website of which, the closest they get to regarding the actual event seems focused more on vendors than attendees. Sort of overcompensating a bit for the mic, Nyla read for a chat room attendee who went by the moniker "the amazing wuddles." For me Nyla came up with my experiences coming in handy with future endeavours. There'll be a Big Change, "overnight," probable acting gig, possibly long term; that financially things would improve, within the next year. Noticing the time, we suddenly had seconds to spare. I hastily gave out my my Paranormal View hub page on my website, indicating people from there can find the show's respective report pages, and while I missed giving out out being very findable on Facebook, I did give out the official Paranormal View page page, and my Twitter @realbadger profile. Kat gave out her jinxedcomic.com site, the show's Twitter @Paraviewradio and her being followable on Twitter @jinxedcomic as well, and we quickly wrapped out. 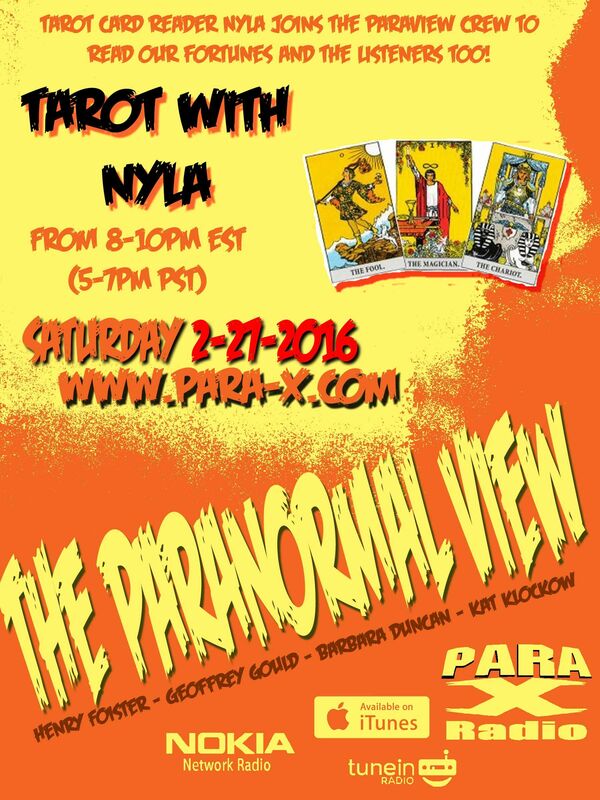 Nyla of the Night: 27 February 2016 edition guest on The Paranormal View.